As part of a competition entry for the redevelopment of a site in Lima, Peru, German studio Tammo Prinz has come up with a residential skyscraper built using a combination of three-dimensional shapes that tesselate with one another. The architects envision a bulky concrete building where windows would cover the majority of surfaces, while balconies will take shape within the protruding geometries. The entire project would comprise of a stack of modular cubes and dodecahedrons. Two of the five Platonian Bodies perfectly fit into each other and it is chosen as the ‘inside space’. The perfect square makes it easy to handle the living functions and the others can be considered as potential additions. 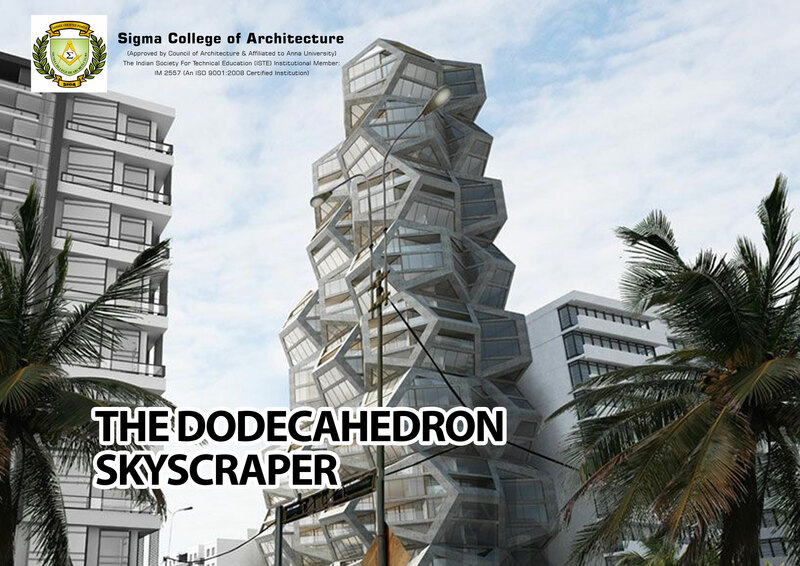 Majority of the skyscraper is defined by its brute concrete structure, which is thanks to the outlines of the Dodecahedron that gives freedom to the inside.